Inland portions of the San Francisco Bay Area will continue to experience high temperatures ranging from 90 to 105 degrees across most inland areas throughout the week. Community members are encouraged to stay cool and be mindful of the impacts of the high temperature. PG&E forecasts power outages throughout the week due to the increased use of air conditioners. 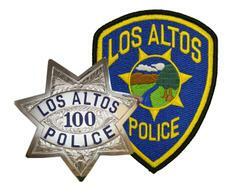 While the City of Los Altos does not have “cooling centers,” there are City facilities that may provide respite from the hot temperature such as the Woodland and Main Libraries. The Hillview Senior Center also offers air conditioned spaces during the day for residents to cool off and enjoy recreational activities.